When you need PolyPro Zebra Labels nothing else will do. You don’t have to settle for less when you work with Tri-State Business Systems. TSBS inventories a full stock of Zebra labels including PolyPro 3000T Zebra labels. 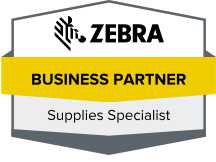 We are your one-stop source when it comes to Zebra barcode equipment and Zebra labels. We’ve been doing it for over 20 years. From our humble beginning as a regional barcode supplier for clients in the New Jersey, New York and Pennsylvania region, we have worked hard at building our business with reliable service and on-time barcode related shipments. We now not only serve the entire country, but are proud to have Fortune 500 companies among our clients. But even if you are a start up, you will get the same great Tri-State Business Systems service. If you are considering implementing a barcoding system, we are your best option. Our experienced barcode engineers will discuss your needs and recommend specific equipment, software and supplies to meet and exceed your expectations. With TSBS, we take care of all the trial and error. You simply end up with a business solution that is effective. We encourage you to discover why companies large and small are turning to TSBS as their exclusive source for barcode systems, supplies and software. Contact us and submit your first order. If you need assistance in developing a new system or improving or expanding your current one, ask to talk to one of our customer service professionals or a barcode engineer. It’s good to know when you need assistance with barcode supplies and equipment, there is a name you can trust. Contact TSBS today!